Behavioral Health means mental and emotional well-being. This includes those struggling with mental illness to those with substance abuse disorders. UNC Hospitals Behavioral Health Emergency Department provides care to approximately 5,000 patients annually, The department operates a 24 hour, 7 days a week, 32-bed unit staffed by Registered Nurses, Licensed Clinical Social Workers, Psychiatric Mental Health Nurse Practitioners, Case Managers, Physical / Occupational / and Recreational Therapists, Psychiatrists, and Assistant Personnel to create a forward-thinking approach to adults, adolescents and children experiencing a mental health crisis. 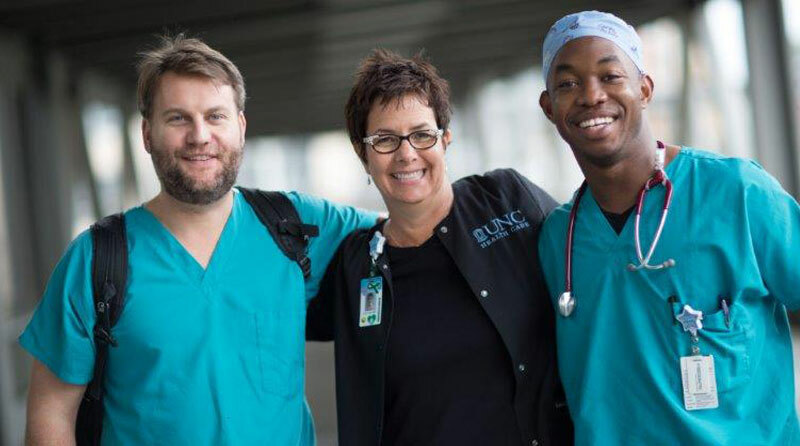 BHED staff partner and work closely with Emergency Medicine to provide compassionate, quality mental health care, focusing on the unique needs of patients and families. Nurses provide assistance with ADL's; monitor emotional and physical symptoms; and report on the patient's behavioral progress. Additionally, nursing care includes assessing and monitoring patients for signs and symptoms of withdrawal and need for emotional support during stressful events. Schedule is 12 hours a week, rotating shifts. Flexible self-scheduling is available. Requires graduation from a state-accredited school of professional nursing. Licensed to practice as a Registered Nurse in the state of North Carolina. Basic Life Support (BLS) for Healthcare Provider certification required. One (1) year of relevant and current experience required.